Shounen eh… Thats a genre of anime that I rarely watch. I haven’t seen any of the big 3 (Naruto, Bleach, One Piece) and have ignored most of the shounen stuff that would come out in every season (with the exception of Haikyuu of course). 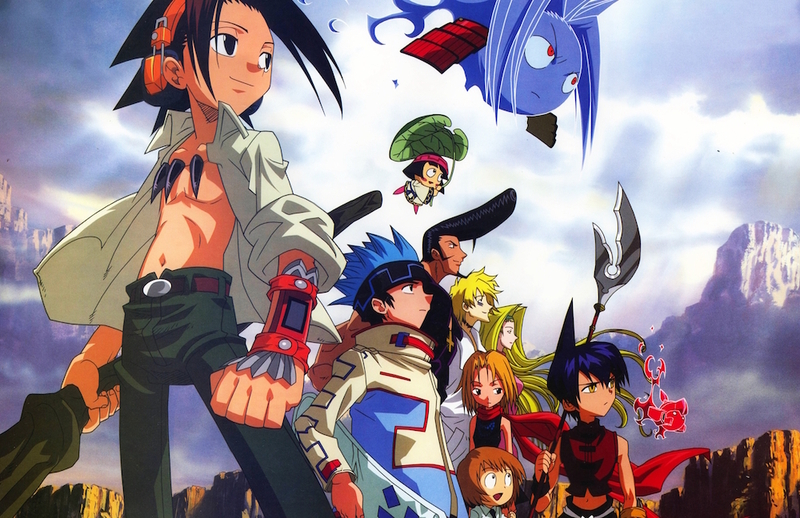 Thats is why picking a favourite would be most challenging, if it were not for Shaman King. This was one of my first anime, actually before my first first anime, because I watched it in Russian/English dub. Why is it great? Well simply because it has loveable characters, none of that fan service stuff, none of that filler episode crap, a clear set plot, and a lot of funny scenes. That is what makes a shounen anime great, it shows us that even a teenage boy can become the Shaman King, but as long as what he believes is right, has a clear goal, and he has fun along the way. Even though the anime is old, I would still recommend people watch it, alongside with Law of Ueki, as they are very similar (Shaman King still better though).